Remember when you were a kid, and there was always someone who claimed they had a boyfriend or girlfriend, and they “went to a different school.” We always thought those kids were lying, and secretly had no friends. Fast forward several (I’m not saying how many) years later, and I’m beginning to think maybe they weren’t lying after all. You see, there’s a growing number of us who have a ton of friends who we have never physically met. The world wide web has become even more literal than we could have imagined back in those school days. We are connected to smiling faces and helping hands that are far out of the range of where we can reasonably travel. We are quite literally connected by cords to people who mean the world to us. Let’s explore friendship on the web. That obscure podcast you’re into that everyone local thinks is stupid? There’s a group for that. Your strange collection of Japanese hunting knives – I’m not certain – but there’s probably a group for that too. The internet is a hotbed of special interest groups that allow you to narrow down to super specific niches. When you share a strange interest, it is impossible not to bond. Before you know it, you’re discussing your regular life with someone and you find that you have even more similarities than you imagined. Now you’ve got a friend. Before the days of the internet, if you wanted to network, you had to put on a great outfit and go out of the house. Now you can pretty much do that from the couch in your jammies. If you have any business pursuit, there is no way you can avoid networking on the internet, and some of the best friends you will meet are people who are online gurus in one respect or the other. Those are just two of the places we can meet friends on the ‘net, but are these people actually friends, or are they just random people? That’s for you to decide, but in my opinion, they are. Catfishing may happen, but for the most part, you are talking to a real person behind that screen. You have the option now to do video chats and make phone calls directly from the internet. 9 times out of 10, by the time you get to the point where you’re considering this person a friend, you know beyond a shadow of a doubt who is sitting behind that screen. People band together to support each other. You haven’t seen an outpouring of love until you have seen a group on the internet hear about one of their own in trouble. I have seen men and women send gift cards, fully fund go fund me accounts, and send flowers to cheer friends up. There are friends who see you every day who won’t do that for you. Expand your definition of what is “real” and what is not. Friendship isn’t about proximity to a person, it is about the bond you share. The most important thing is mutual respect, caring and support, that’s the best part about the cords that connect us. 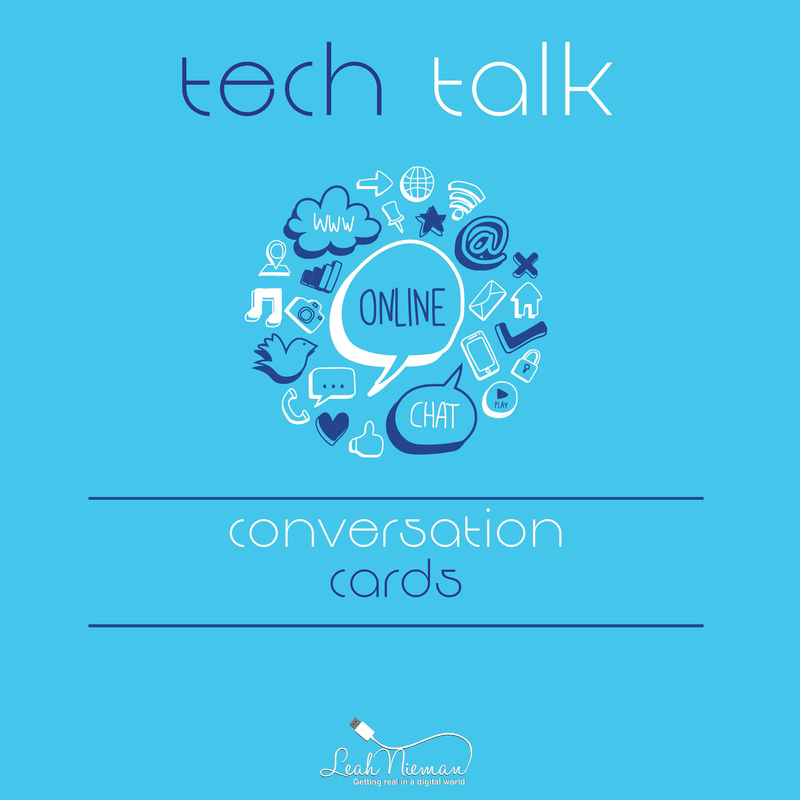 Sign up for my newsletter and get Tech Talk Conversation Cards FREE! Do You Know What Apps Teens Are Using? Looking for up-to-date social media and technology news for families? Sign up for my weekly Tech Talk for Parents Newsletter. And, get a FREE copy of my Tech Talk Conversation Cards with over 50 questions on technology, social media, cyber-bullying and sexting.